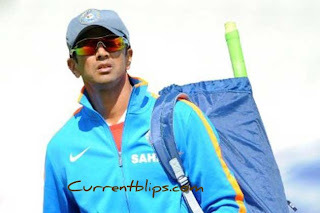 Rahul Dravid who also known as Mr.depandable and The Wall has announced his retirement from international test cricket . 39 years old Rahul Dravid who has played 16 years for his country and serve them one of the best cricketer of all time has decided on 09 March 2012 New Delhi that he will not continue his test cricket " Rahul Dravid said . "I have failed at times, but I have never stopped trying. "It is why I leave with sadness but also with pride." His Teammate Sachin Tendulkar share his views with NDTV news channel "I will miss Rahul in the dressing room and out in the middle. I have shared the best moments with him."